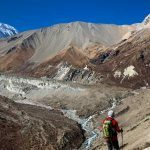 Sep 23, 2016- At least four persons, including a Spanish national, were killed and 14 others injured in a landslide near a bridge connecting Uiya-Kerauja along the Manaslu trekking route in Gorkha district on Thursday morning. 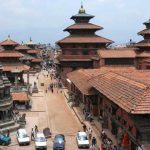 The deceased have been identified as Tshering Sherpa, 30, Dorje Lama, 35, of Kathmandu and Ranjana Basnet, 32, of Okhaldhunga district. The identity of the Spaniard was yet to be ascertained. All four died on the spot, said Gorkha Chief District Officer Narayan Prasad Bhatta. Rescue workers could not reach the incident site for five hours as continued landslides obstructed the route. 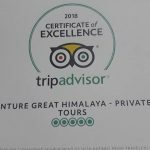 The expedition was handled by Pick Himalayan Adventure Company. According to SP Janak Raj Pandey, seven police personnel were mobilized for rescue operations. “We also asked Area Police Office, Aarughat, to send additional police personnel,” said Pandey. The incident site is two days’ walk from Aarughat. 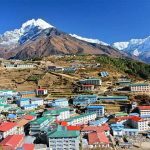 Laxman Gurung, a local, said the area heavy rainfall on Wednesday night could have triggered the landslide. 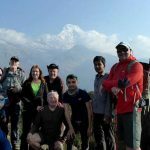 The trekkers had spent the night at hotels at Khorlabesi in Uhiya and set out for the journey on Thursday morning. 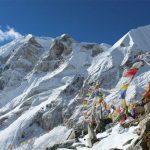 The Manaslu circuit, one of the country’s most exciting trekking routes, was closed after the devastating earthquake last year triggered landslides at various places. It was opened later in June last year. 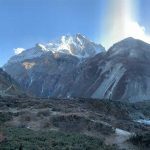 The site where the landslide occurred on Thursday morning is considered one of the most risky sections as it frequently sees boulders and stones falling. All the injured were later airlifted to Kathmandu later on Thursday. Thirteen persons—11 Spanish and two Nepali nationals—were admitted to Vayodha Hospitals in Balkhu.